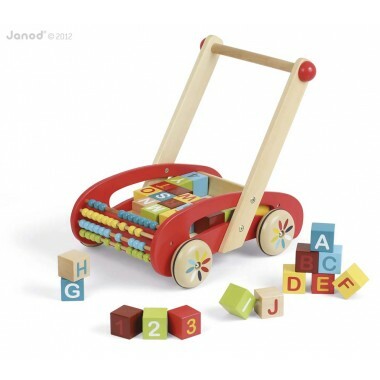 This gorgeous Janod ABC Buggy is a colourful wooden baby walker filled with wooden blocks. 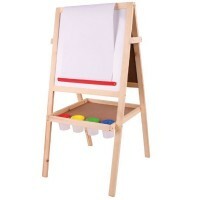 At the front of the buggy is a four row abacus which has plenty of movable wooden beads for counting and playing. 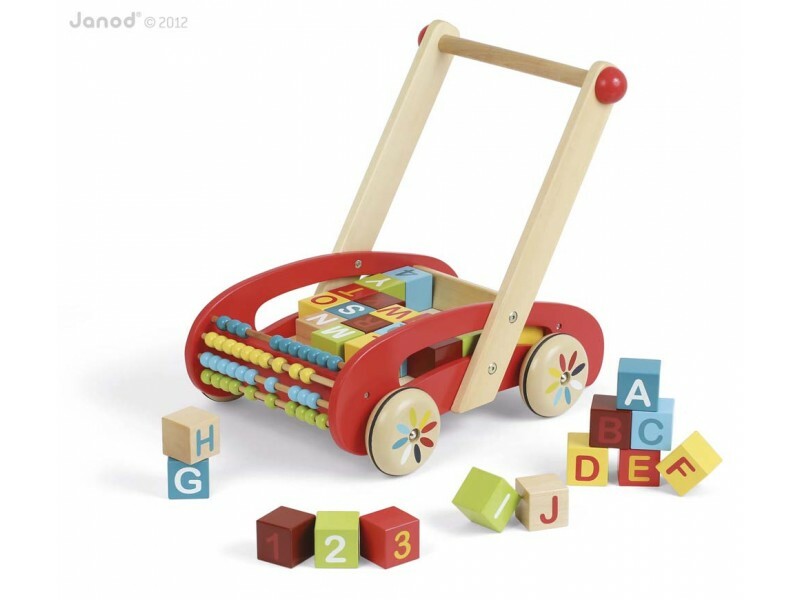 Children of around 12 months and over will have such fun with this buggy. They will love the painted wheels which rotate with a spiral effect. 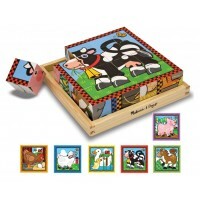 They will also enjoy removing the blocks and learning which letter has been painted on each one. 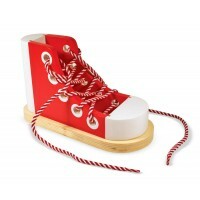 The sturdy wooden handle will allow toddlers to improve their walking while moving their favourite toys around the house. We’re sure you will love this beautiful baby walker as much as we do and we’re extra sure your little ones will! Dimensions: 43cm x 34cm x 43cm approx. Some simple assembly required. A really sturdy toy that my grandson loves! The parents are delighted but the actual customer is not yet ready to use the buggy althoughIt it will not be long before she does. Simply amazing you on all levels of use. Practical, fun and educational.